Greetings to anyone who follows Steeshes or happens upon it while Binging a celebrity mustache. I want you to know that you need to take some responsibility in your life. There is a “contact” portion of our page for a reason. It’s for times like this, when a steesh as beautiful, and predictable, as Raul’s has gone unmentioned for so long. You are allowed to remind me that such a steesh needs to be honored. 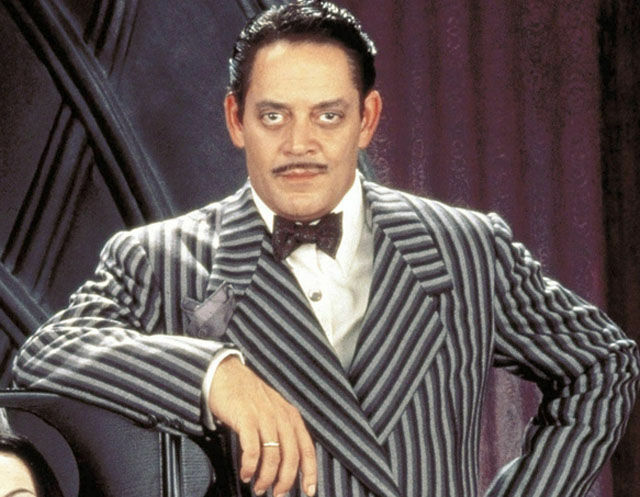 I know you’re saying to me, “But eventually you are going to re-watch Addams Family Values and give the mustache its due.” And you are correct, but should we have to wait years? Take some responsibility in your life and contact us with your favorite steeshes we’ve never shared. This entry was posted in Character Actor, Movie Steesh and tagged Actor, addams family, addams family values, Gomez Addams, Moustache, Movie, Movies, mustache, raul, Raul Julia on October 26, 2012 by Los Bulls.